James Duckett: Time Travel Series: Introduction and a Doctor Who Giveaway!! Time Travel Series: Introduction and a Doctor Who Giveaway!! Time travel is one of my favorite story premises and I’ve always wanted to write a series around it. Welcome to the start of that series! To celebrate, there’s also a Dr. Who Giveaway (a lot of people’s favorite time traveler) at the end of this article. 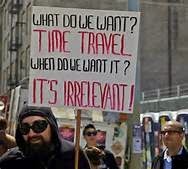 Imagine the implications if time travel was possible! What would you do if you could travel through time? Find Hitler or other serial killers and kill them off? See the future? Stop the JFK assassination? Take the selfish route and use it for personal gain, or the altruistic route and use it to right wrongs, solve crimes, or explore truths? Plus, how would you get there? How would you get back? What would you learn? What can you change? How will you deal with paradoxes? I'm intrigued because there is no way to find the answers to these questions. Sure, we can probably guess what will happen if we stick a bomb on a bus, but what will happen if I travel back in time and kill my grandfather? Maybe nothing. Maybe the world explodes. Who knows? Without time travel, we could never find out! However, we can still ask... what if? I just love time travel in general. I love being on the lookout for paradoxes. I love watching the fish-out-of-water storylines of people experiencing culture shock between time periods. If there was any story line from Science Fiction that fascinated me the most, it is time travel. So, let’s explore! We can explore the methods of time travel, the different time periods to travel from and to, paradox resolution, casual loops, and the different side effects (not just paradoxes) of time travel. 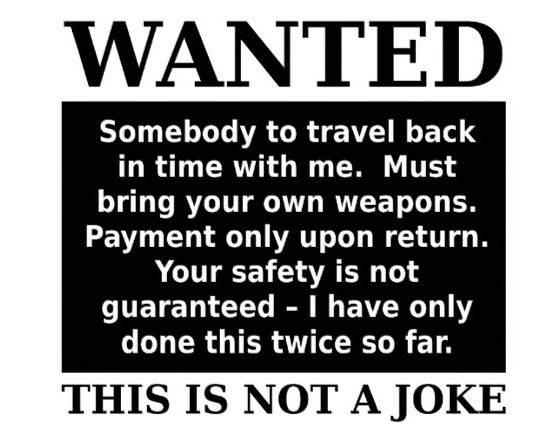 I might even try to keep it real and explore why time travel can’t work or the ramifications if it did. There is so much to cover and a single blog post just won't accomplish it. BUT FIRST!!!! Let’s have a contest themes around many people’s favorite time traveler: Doctor Who. There are two prizes for two different winners. 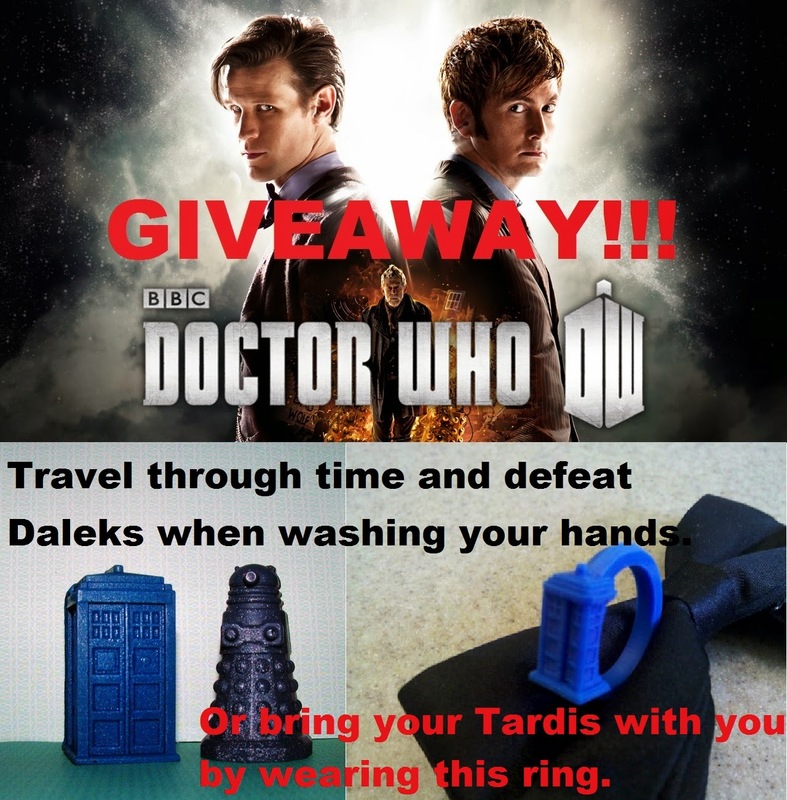 You can win these awesome Dr. Who soap bars, a Tardis and a Dalek (the color of soap may vary) or a Tardis ring* created specifically for your finger by renowned 3D printer-er Joseph Larson, so you can travel through time wherever and whenever you are (it's bigger on the inside). I'm teaming up with the Kami McArthur the Magnificent for this one. Kami was awesome enough to let me tag along with this giveaway. If you don't follow her, do it now to get more entries. You might win a nifty prize, and even if you don't, you'll be following Kami's content which is even better!!! Follow us, like us, and whatever else the rafflecopter requires for more chances to win. Also, Kami has an Attack on Titan giveaway as well. See, I told you she was magnificent! To enter, visit here before October 10th. Enter the Dr. Who giveaway by using this rafflecopter. Enter now! Tell all your friends!! Climb in your time machine, go back five minutes, and enter again***!! *The winner of the ring will need to send us your ring size before we can process this. ** No doctors or bowties included. ***Multiple submissions will require proof of ability to time travel, which you can email to us a year ago today… just so you know, we already know who is eligible.